With two weeks already under our collective 2019 belts, it’s safe to say that there’s no time to waste in getting your New Year’s Resolutions underway. Undoubtedly, you’ve come up with a number of ideas for how to improve your business in 2019. Naturally, you’ve likely considered upgrades to your customer service regimen and perhaps, adding new items to your product line. However, it’s important to never underestimate the impact the look of your place of business has on the general public. The visual representation of your brand has far-reaching implications. When someone walks by your storefront, is he/she encouraged to stop, take a look or even walk in? Attracting customers has a lot to do with visual stimuli. This is what makes window graphics and lettering such an intriguing option. 1. They give your store an eye-catching appeal. 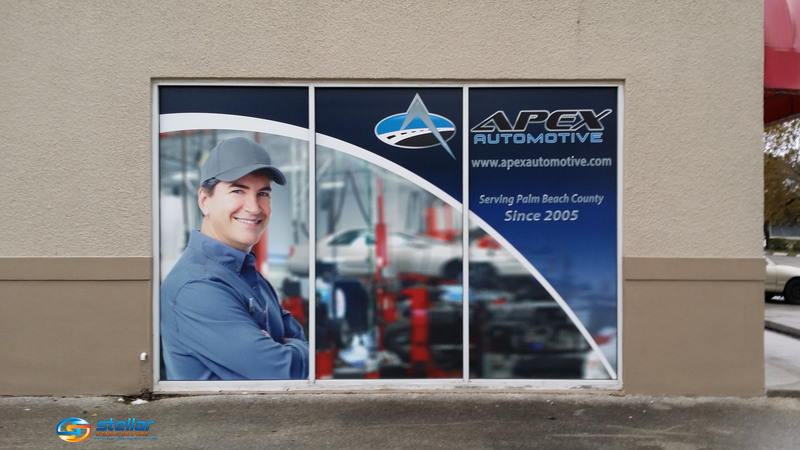 By their very nature, window graphics significantly revamp the look of your store. Quite literally, you can take your place of business from “mundane” and “plain” to “vivid” and “vibrant”. Consider the fact that your windows are generally blank spaces. By turning them into larger-than-life advertising spaces, you automatically attract eyes. 2. They offer privacy for your guests. Window graphics are especially welcome additions to restaurants, diners and bars. This is because they enable guests who are sitting by the windows to get a little privacy. Many restaurant patrons even report feeling more “cozy” when people on the outside aren’t peering in on them. With window graphics affixed to your restaurant’s windows, you enable your staff and customers to look outside while those who are outside can’t see in. It’s a win-win! 3. They boost your brand’s image. Compare a place of business with window graphics and lettering to one without. There really is no comparison. From far distances, a company’s window design can be seen, allowing the brand to highlight its products, services, pricing, contact information and just about anything else it sees fit. A design-less window, on the other hand, is essentially wasted space by comparison. 4. They help customers find you. At Stellar Signs & Graphics, we pride ourselves on helping our clients get noticed. We offer a wide variety of signage options that draw the attention of the general public. Window graphics and lettering are right up there at the top of the charts in the world grabbing attention. This is especially true if your place of business is located in a strip plaza. Because it sits beside so many other stores, it requires a unique look in order to be easily picked out from the bunch. 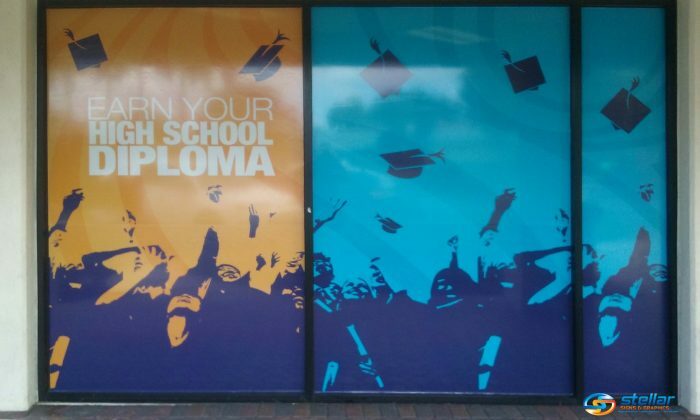 Let’s get started on a window graphics design for your company! The experts at Stellar Signs & Graphics serve the business communities in and around Palm Beach County, West Palm Beach, Royal Palm Beach, Wellington, Lake Worth, Boynton Beach, and Greenacres, Florida. Give us a call at 561-721-6060 today!